Recently, my podcast featured some of my favorite garden books. In this episode, I talk with the author of one of those books. 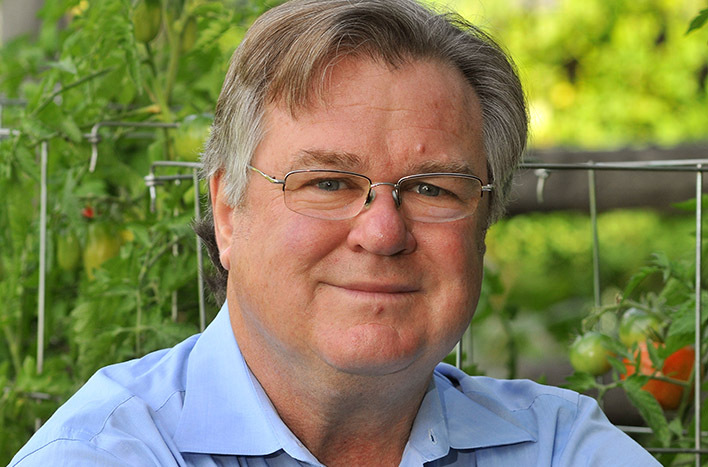 Barry Estabrook is a multi-James Beard Award-winning author, and one of his most renowned titles, Tomatoland, is a favorite among my extensive library. When I first read Tomatoland, I couldn’t put it down. This is a fascinating expose’ of the commercial tomato-growing industry in Florida, but that wasn’t the original intent. When Barry first set out to write the book, his interest focused mainly on tomato quality. While driving on a southwest Florida thoroughfare, Barry found himself behind a large freight truck carrying a load of bright green objects. When a few of those objects fell out of the truck and nearly hit is car, Barry realized the cargo was actually a load of tomatoes. Those hard, green tomatoes seemed impervious to impact of hitting pavement at a high speed – which got Barry, then the contributing editor of Gourmet Magazine, thinking. What, he wondered, would the rest of that shipment of tomatoes taste like when they hit store shelves. Odds are good they were virtually tasteless. After all, those commercially-grown tomatoes are picked very green (as evidenced by the airborne tomato grenades that nearly hit Barry’s car) and ripened with a process using ethylene gas. Yet, the truth about taste goes much deeper than the ripening process, and the dark side of the tomato industry was unknown to the world at large. Until Tomatoland. As a self-proclaimed “Tomato Geek,” Barry began investigating why grocery store tomatoes are often so tasteless. How are they grown? How are they shipped? Is there room for improvement? He focused his research on Florida growers. There, a dozen or so large producers grow the majority of tomatoes sold commercially in the United States. If you know much about tomatoes, you will recognize this seems like an odd choice. After all, Florida is one of the most humid states in the country, and tomatoes don’t take kindly to humidity. When you combine tomato plants with high humidity, odds are very good that you will see high rates of pest and disease problems. To control these issues, commercial tomato growers spray their fields with insecticides and herbicides – lots of them. In fact, the official guide for Florida commercial tomato growers lists over 100 different chemicals for field application during the six month growing season. One third of that list are also on the Pesticide Action Network list of “bad actors.” Bad actor pesticides are those which are known to cause cancer, birth defects, neurological damage, and even death by exposure. Tomatoes are also grown commercially in California. 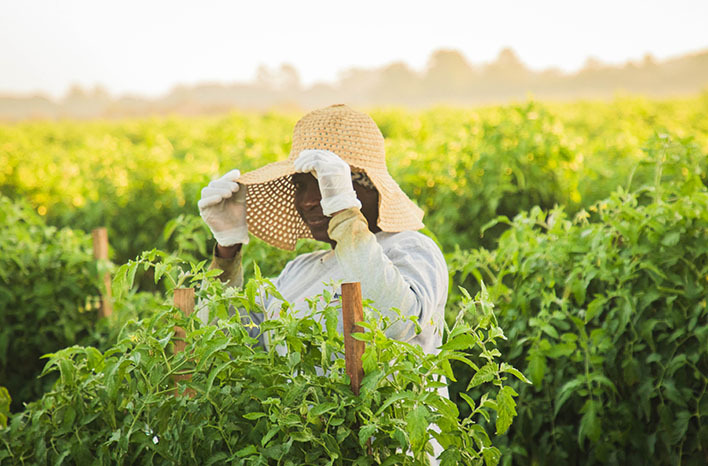 Yet pound-for-pound, Florida growers use eight times the number of herbicides and insecticides in the humid tomato fields of the Sunshine State versus use by California tomato growers. Now consider too that those Florida tomato plants are grown in sand, rather than soil. Sand holds little to no nutrients. 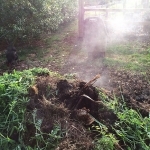 Since there is no soil available to plant roots, there are no nutrients naturally available to plant roots. Those Florida tomatoes must be chemically fed nutrients throughout their growth cycle. Barry also learned that flavor genes have actually been bred out of the tomato varieties grown for commercial production. Commercial tomatoes are judged on a few specific criteria, such as size, productivity and ship-ability. Interestingly, flavor is not a criteria. 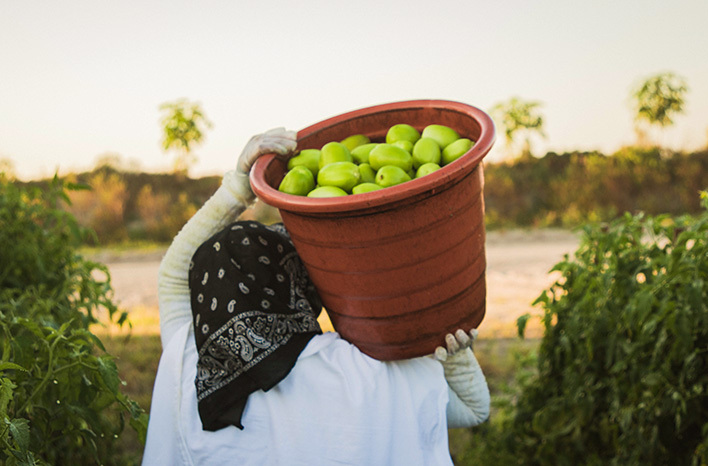 Commercial growers aren’t paid for flavor – they are paid by the pound. 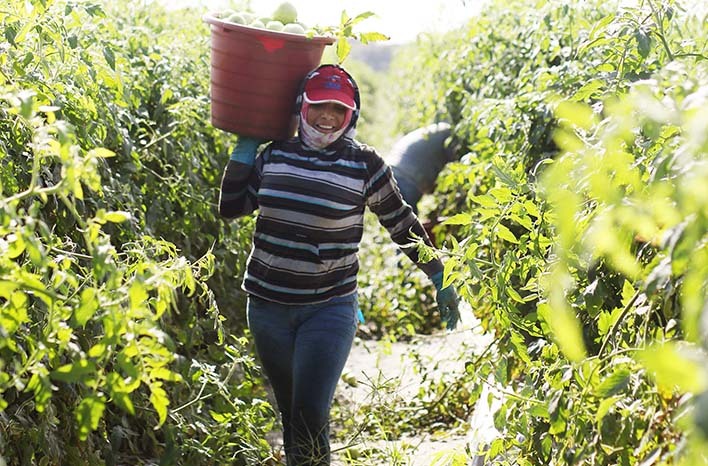 As new tomato plants are bred for these commercial operations; it is the large-fruiting, heavy-producer which will win every time over a variety that offers flavor. How many times have you purchased tomatoes at the grocery store during cold winter months when they aren’t available straight from the garden? How many times have they looked beautiful on the store shelf, but when you got them home they were hard or mealy or flavorless – or all of the above? Barry calls that the bait-and-switch. You can’t taste test the supermarket tomato. Fortunately, though, we do still have some options to consider on that next trip to the store. 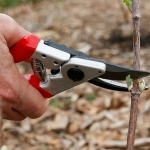 While Barry was surprised to learn all of these issues related to growing the tomato itself, it was the labor used to care for the plants which was the real eye-opener. 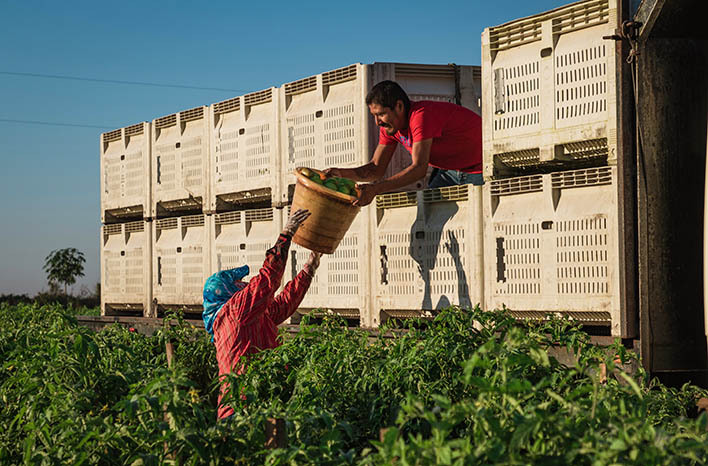 At the time Tomatoland was published, in 2011, there were workers regularly being bought and sold as slaves in the Florida tomato-grower industry. Human beings were purchased for as little as $500 to work endless hours in the hot sun and, often, without water. Many of these workers were shackled and locked up at night, to be sure they were available for work the next morning. These people were beaten, exploited, sexually abused, frequently unpaid or – at best – given undercut wages. These atrocities continued up through the first decade of the 21st century. Barry saw these conditions firsthand, and he compares them to Dickensian-era workhouses. 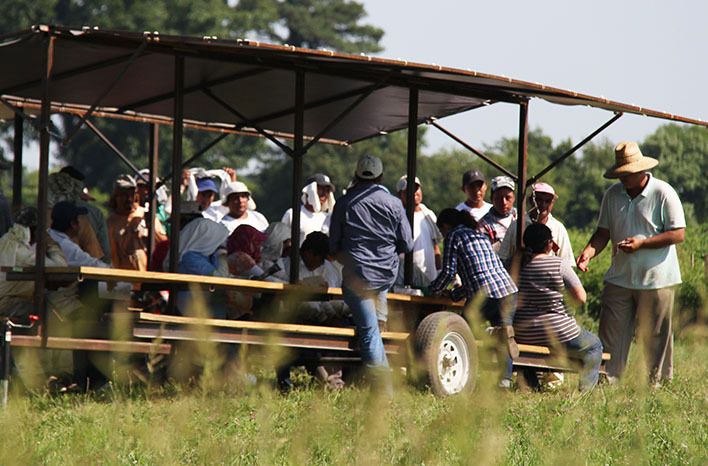 There were many illegal labor practices happening daily in the fields and labor camps of the Florida tomato farms. 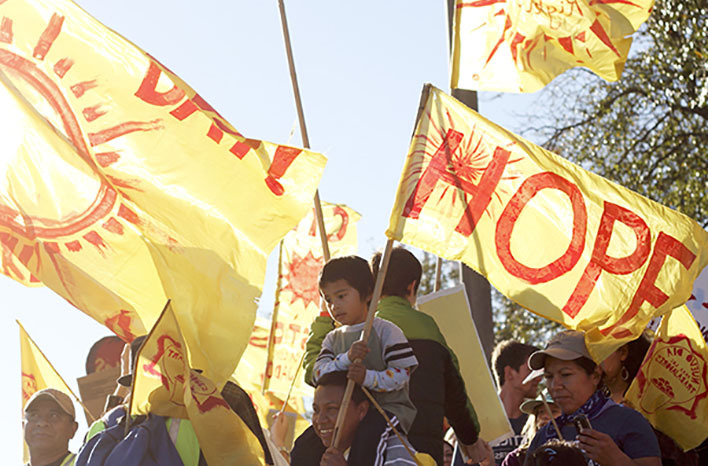 One of those illegal practices will have a lasting impact for generations. Did you know it’s illegal to spray a worker with a pesticide or herbicide? Treatment with these chemicals should take place when there are no workers present. Yet for the laborers of Florida commercial tomato farms, being doused in chemicals was commonplace. Work was expected to continue in all conditions, and so, workers were saturated each time the fields were treated. These weren’t just a miserable experience – they were literally life-altering events. While writing Tomatoland, Barry learned of three women who lived in the same labor camp and worked in the same field. These women each became pregnant. From the time of conception until shortly before they each delivered – within three weeks of each other – they continued to work and be subjected to chemical sprays. Their babies were each born severely disfigured. One baby was born without any limbs – no arms, no legs. Another baby was born with a serious jaw deformity, which doctors predicted would become less-severe as the baby grew. The third baby was so horribly disfigured that doctors were unable to tell if it was a boy or a girl. That baby died shortly after birth. These are all difficult stories to share, but it is imperative that they be told. There is a third edition of Tomatoland, which was released in 2017, and it provides some happy updates. 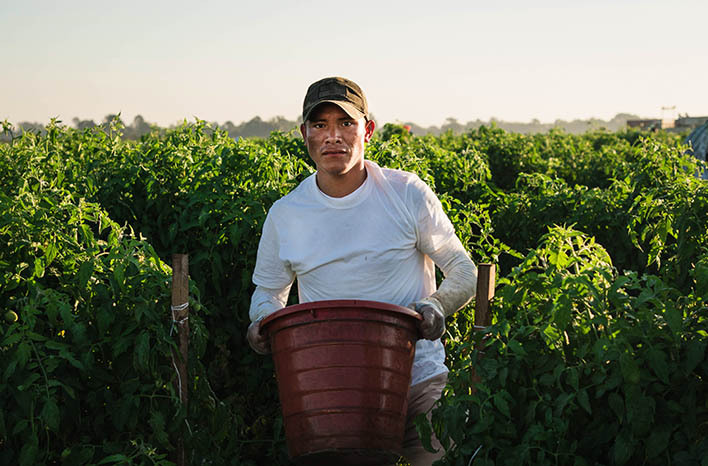 The laborers of the Florida tomato industry found their voice during the past several years, and their remarkable power has brought about radical change in worker conditions. Barry compares the transformation to going from the Dickensian workhouse to a Silicon Valley technology company. 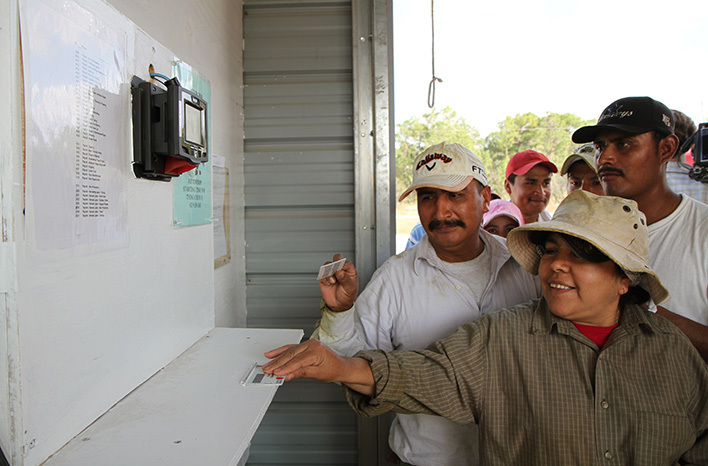 These workers began to realize that they wouldn’t have success asking the growers for change. Instead, they went to the money source. Over a decade ago, they brought their message to the big brands, one-by-one. They made these large customers – like Taco Bell, Walmart, Burger King, McDonald’s, etc. – aware of work conditions. They asked these conglomerates to demand that the workers be paid one cent more per pound. 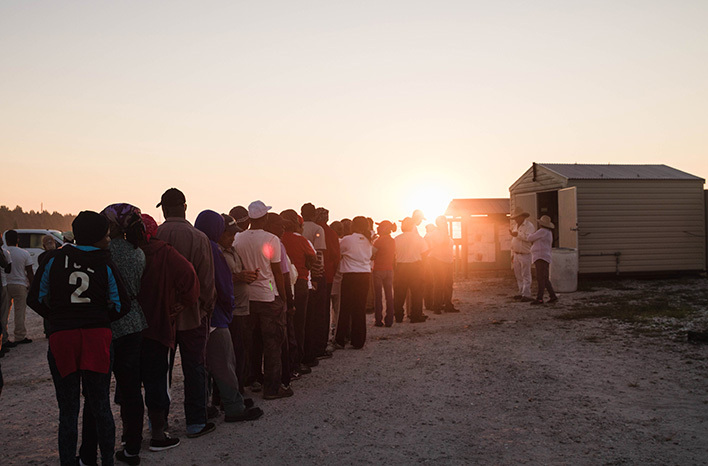 They also asked for things most of us take for granted – like access to shade or water. These requests weren’t well-received initially. Yet, the workers persisted. They petitioned, went on hunger strikes, connected with religious organizations and university student groups. They refused to take “No” for an answer. 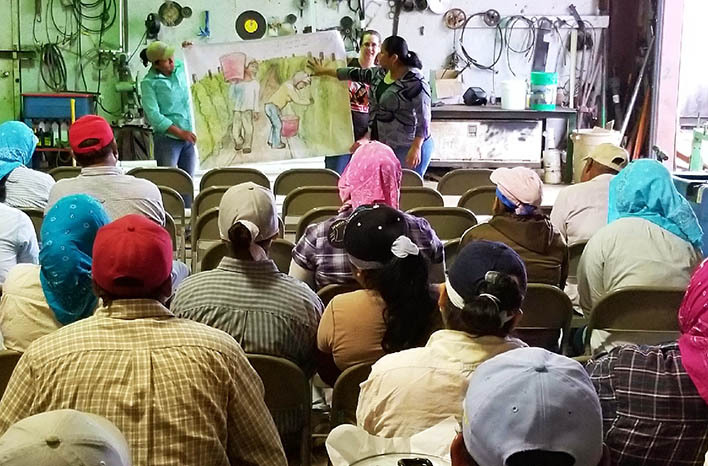 Slowly, over time, many of the big customers agreed to hold growers accountable. On recent visits to the same fields which led to Tomatoland, Barry saw shade wagons and good access to water. He saw punch clocks in every field, which allow every worker to get a receipt for time worked and the assurance he or she will be paid for that time. He learned that a system has been established which provides each new worker with a business card offering a hotline to report abuse. Chemical sprays are now reported, and other abuse grievances follow a clear process – all of which keep growers in compliance to avoid losing big customer dollars. 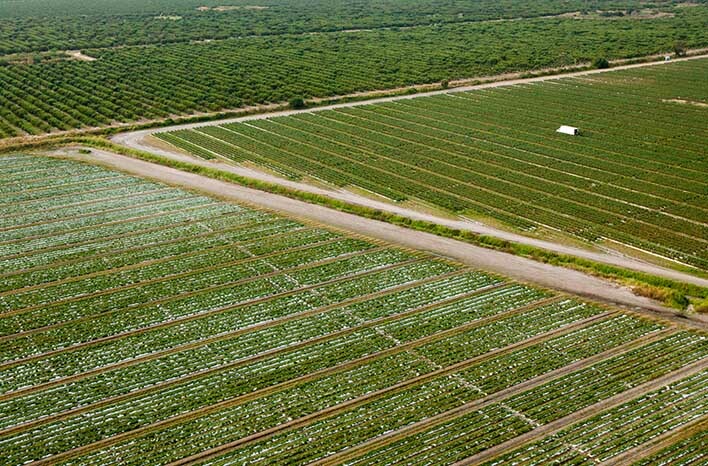 The impact of the chemical sprays will rear its ugly head throughout the coming years in the form of additional birth deformities and other health issues, but the positive changes are now firmly entrenched and at work improving lives of the people in the trenches of the Florida tomato industry. Still – the end product remains largely unchanged. The tomatoes delivered and purchased day after day at the supermarket are just as flavorless as they were when Tomatoland was first published. As consumers, we can create positive change in product just as the industry workers created change behind-the-scenes. We all know that money talks, so spend wisely. Choose not to purchase those tasteless tomatoes. If we don’t buy them, growers will be pressured to return to a Flavor-Matters Mentality. 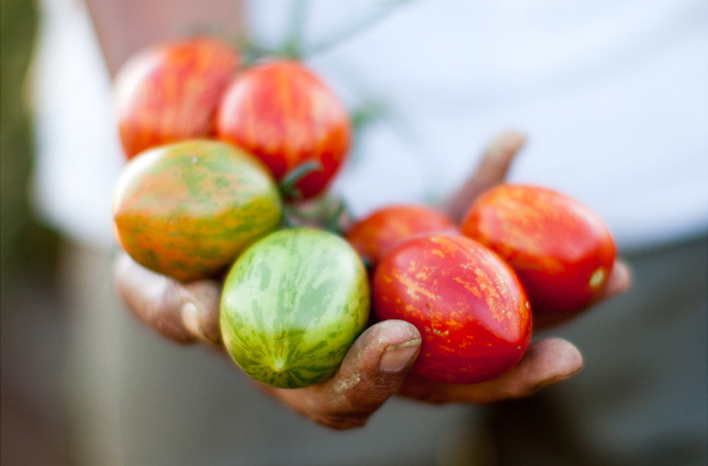 When you need a tomato, look for locally-grown options, or look for tomatoes marked as organic. Those organically-grown tomatoes are typically not the high-tech/no-taste breeds, and they are grown in soil (or hydroponically) without the use of chemicals. They will cost a little more, sure, but isn’t it worth it to get a tomato that actually tastes like a tomato? While you savor that tomato-y goodness, celebrate the little part you are taking in a big movement to take back the tomato. Talk about a delicious victory! During the past few years, Barry has turned his investigative magnifying glass to the pork industry in his newest book, Pig Tales. I just received my copy, and no surprise, I’m devouring this one just like I did Tomatoland. If you haven’t already listened in, scroll to the top of this page and click the play icon in the green bar under the title and join my conversation with Barry. 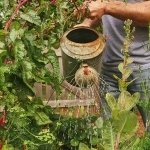 He also shares a bit about his own Vermont garden and his passion for the inhumane treatment he saw while first researching Tomatoland must be heard to be fully appreciated.